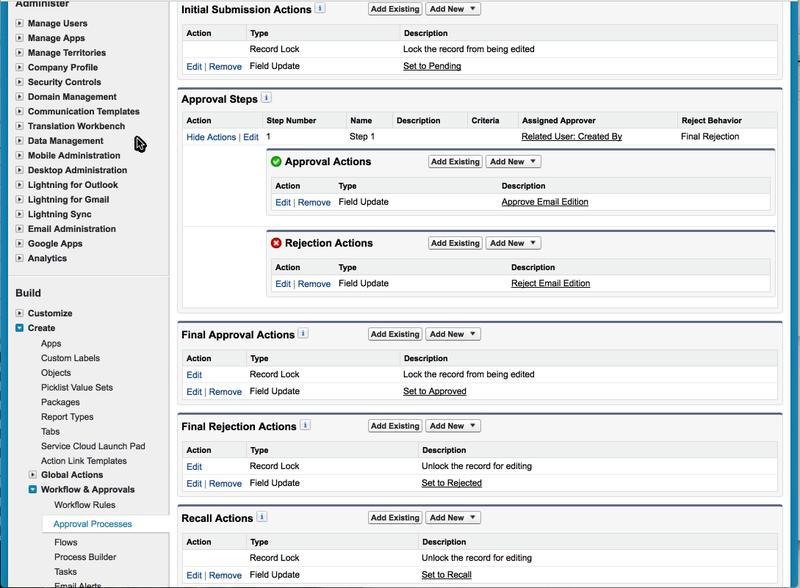 The Approval Process is a standard Salesforce functionality that we are utilizing with our eMaker for Predictive Enterprise users. This will allow you to request that each edition is approved before it can be sent out to campaign members. When a user is in the eMaker, they will see a message at the top that it needs to be sent for approval when they have reached the point of testing their content. Click on Test icon, then the Approval tab to send. The system admin needs to inform us of their approval email address. A copy of all emails to be approved will be sent here. Once an edition has been approved, an active email will send as scheduled.